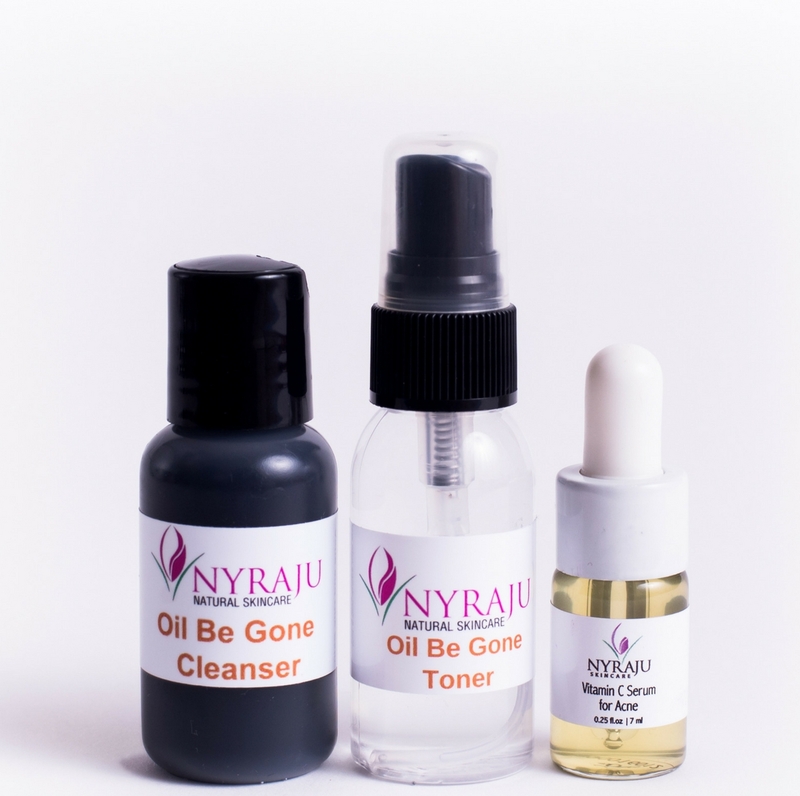 Got Challenges With Acne and Oily Skin? Acne breakouts got you feeling self-conscious, insecure, frustrated, embarrassed and going Oh Zit! No longer the challenge for just teenagers, adult acne has found it�s way into the fray of skin challenges amongst African American women and men. Whether it�s whiteheads, blackheads, cystic or hormonal acne, the simpler the skin care regimen the better. 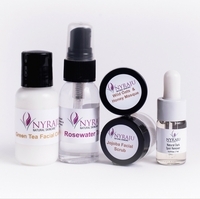 We�ve put together a three step regimen consisting of an exfoliating cleanser, toner and vitamin C serum for daily use. Oil Be Gone Cleanser - A lot of acne sufferers are plagued with oily skin, so we created a blend of essential oils along with exfoliating organic fruit extract, coconut oil and teas that are perfect for chaotic skin The not so secret ingredient is Activated Charcoal. It acts as a magnet to attract and absorb the dirt and oil from your skin. Oil Be Gone Toner - This toner is �vital� to the care of acne and oily skin challenges. Vital meaning it�s indispensable. With calming Organic Aloe Vera, Alpha Hydroxy Acid, Vegan DMAE, Tea Tree, Bergamot, Chamomile and Geranium Essential oils, this toner will help bring back a smooth, balanced, youthful glow to your face. Remember, toners help bring your skin�s pH balance back to an alkaline state, while also preparing your skin to receive serums and moisturizers. Vitamin C Serum - With the proven powers of natural ingredients like green tea extract, Vitamin C, and centella (gotu kola) this serum will help to erase blemishes in 3 to 5 days. Results may vary from person to person. Oil Be Gone Cleanser � Squeeze about half a dimes worth into the palm of your hand. You�ll need to add a little water to you hands with this one. It�s thick and can feel like glue if you don�t have the right amount of water. Test for yourself to see �how much� is enough. Cover your face and neck with the cleanser. Remove with warm water. This cleanser should help minimize oil build up on your face that can cause acne and blackheads. You'll follow up with the Oil Be Gone Toner. Oil Be Gone Toner - Wet a cotton ball or square, squeeze out the excess water and add a spritz or two of the toner to it. Rub gently across your face and neck. Morning and night after cleansing. Vitamin C Serum for Acne - Morning and night ... One Squirt into the palm of your hand. Apply it to your acne challenged skin.